The Office is counting down to the last show of the series. Kish and I enjoy the show, and we’re holding our breath that the characters we’ve come to love aren’t ruined forever as the producers seek to build tension for a big finale. I may be the only person in America who was happy when Steve Carell left The Office. I thought the Michael Scott character had become so painfully awkward and outlandish that the series was difficult to watch, and the Michael Scott stories were interfering with the show’s real strength — which is the ensemble of office workers. Every moment of Michael Scott angst took time away from a Jim Halpert practical joke at the expense of Dwight Schrute, or droll Stanley Hudson comment, or Creed Bratton weirdness. When Michael Scott finally left it cleared the way for the other characters to shine, and they did. Many of the great American sitcoms have been ensemble efforts, rather than solo star vehicles. Cheers, Seinfeld, The Mary Tyler Moore Show, and Taxi, among many others, all have been classic multi-character efforts. What would Cheers have been without the characters shouting “Norm!” or listening to Cliff’s latest blowhard theory? How much did Newman bring to Seinfeld, and the Reverend Jim add to Taxi? The Office characters are similarly capable of carrying their show as a group, and since Steve Carell’s departure the show has remained hilarious without the downside of the pitiable Michael Scott storylines. This year, though, the show seems to have lost its way. Pam and Jim are having marital difficulties, and a lbehind-the-camera sound technician has emerged as a suitor for Pam’s affections. Andy Bernard, who may be the most unevenly written character in TV history, has gone off the deep end. It’s as if the producers are searching for a dramatic conclusion — and I wish they would resist that temptation. We want to remember Jim and Pam as the young lovers who finally found each other or the happy newlyweds, not as some estranged couple fighting in a way that seems inconsistent with their well-established characters. 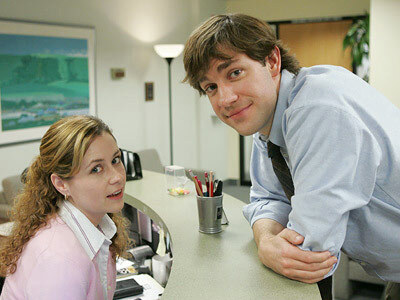 I’d be perfectly happy if the last episode featured more of the enjoyable antics of Dwight and Angela, and Oscar and Kevin, and Phyllis and Meredith, and the show ended with a Jim Halpert prank and Pam simply turning out the lights of the Dunder-Mifflin workroom a la The Mary Tyler Moore Show, as another workday ends.